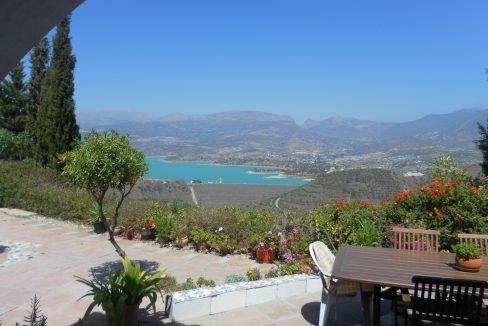 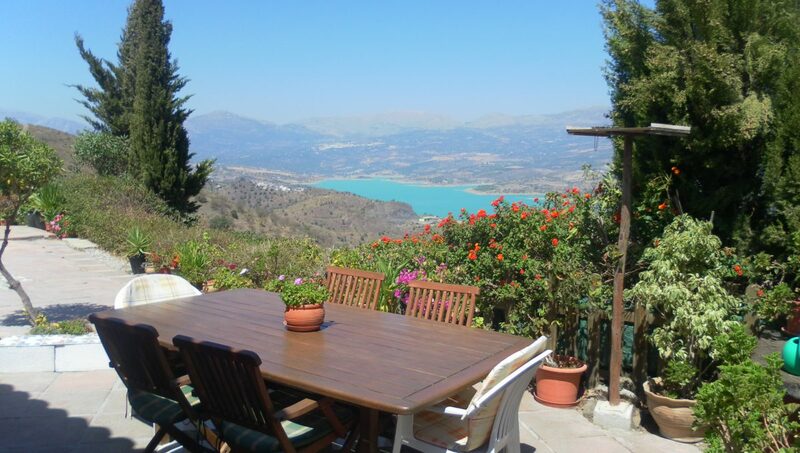 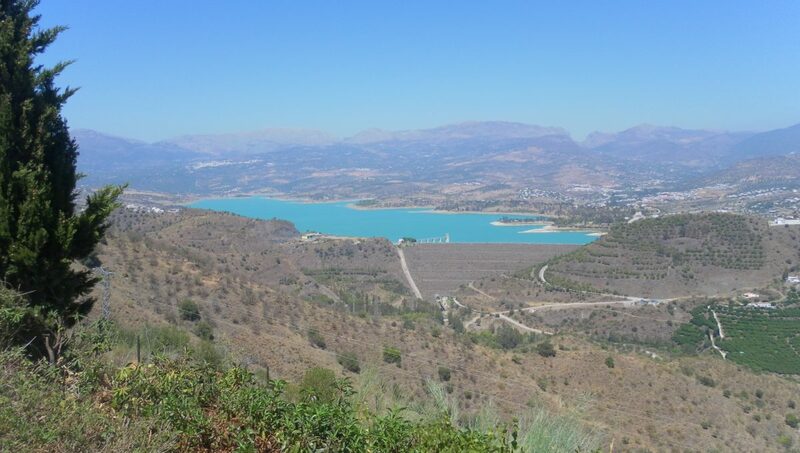 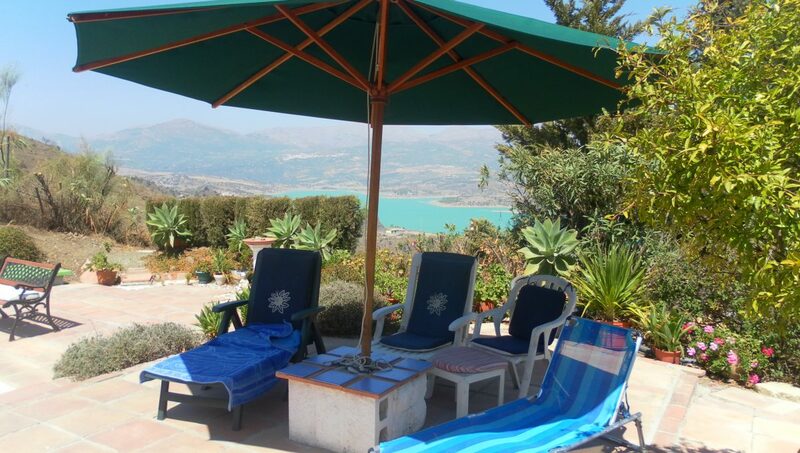 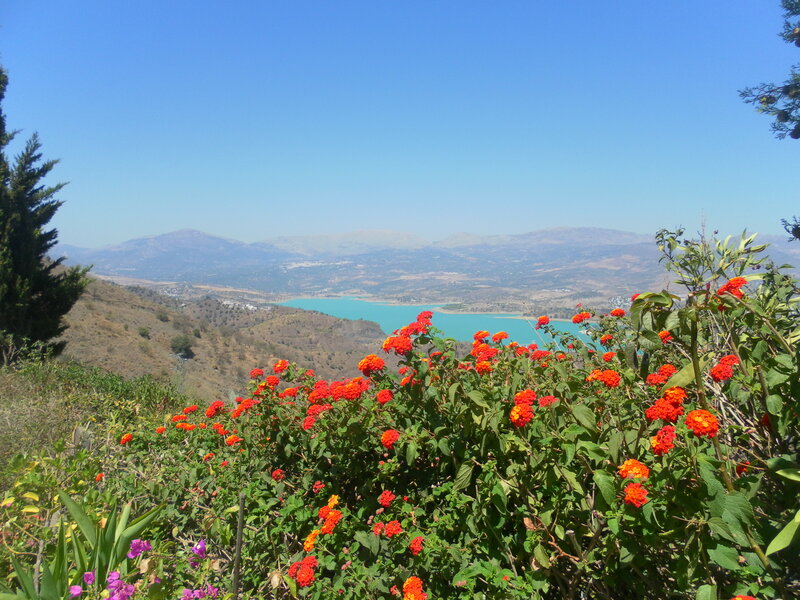 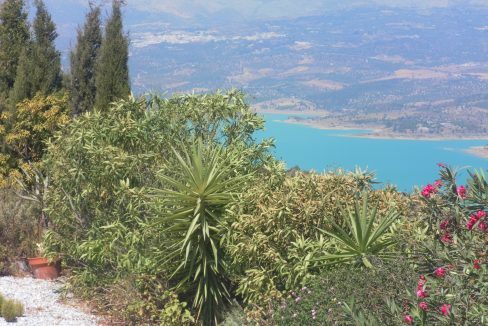 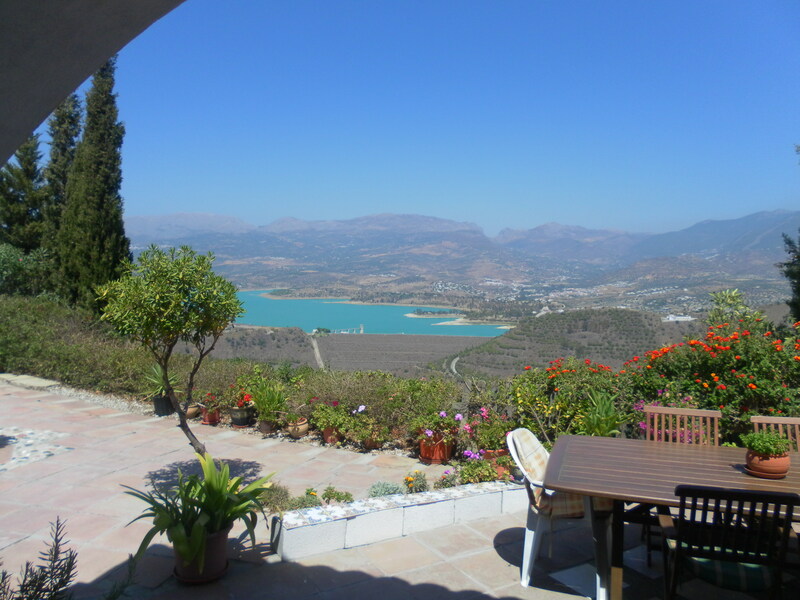 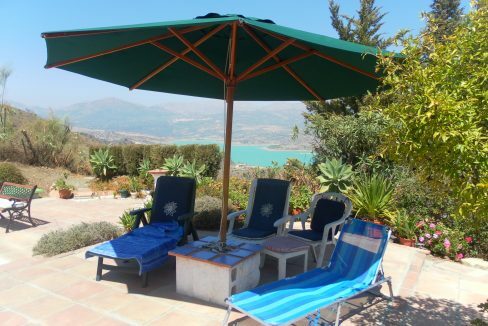 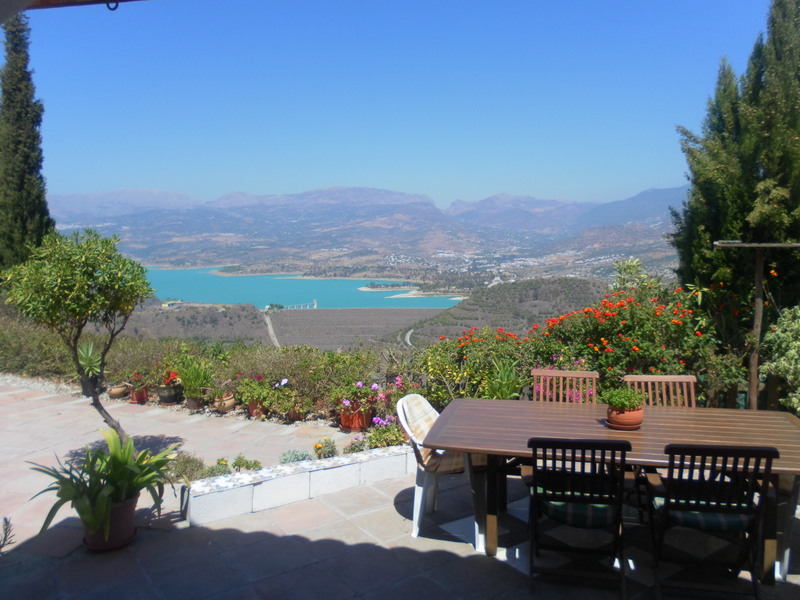 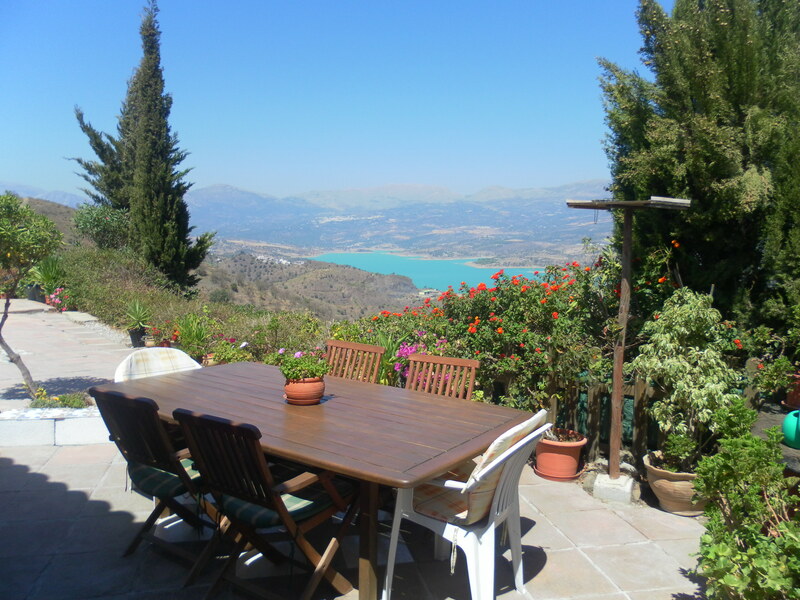 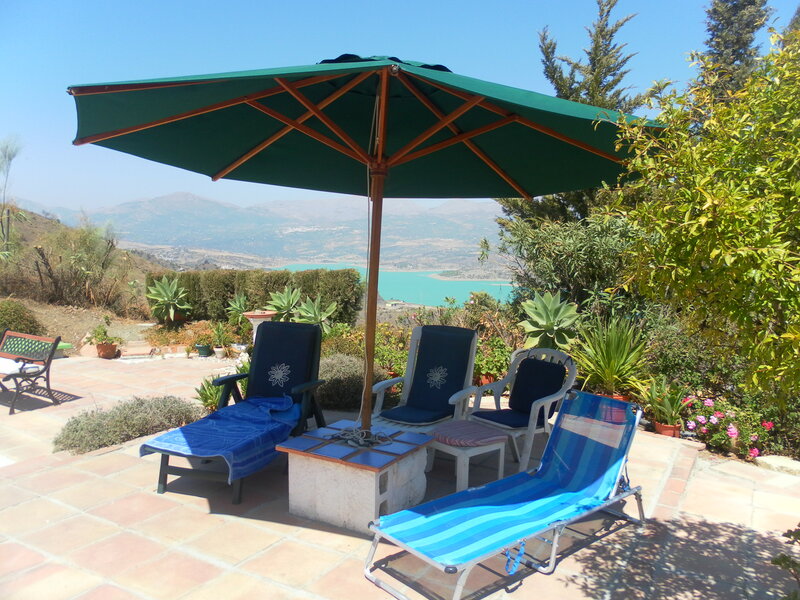 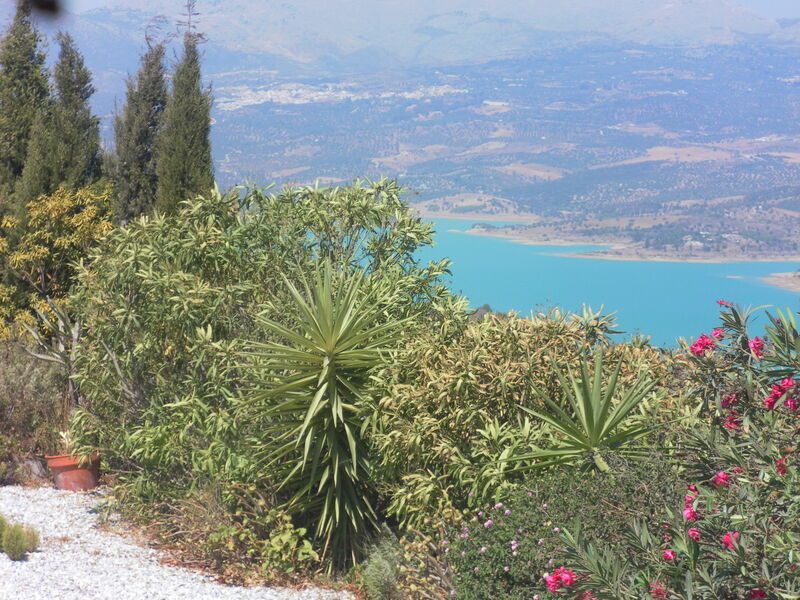 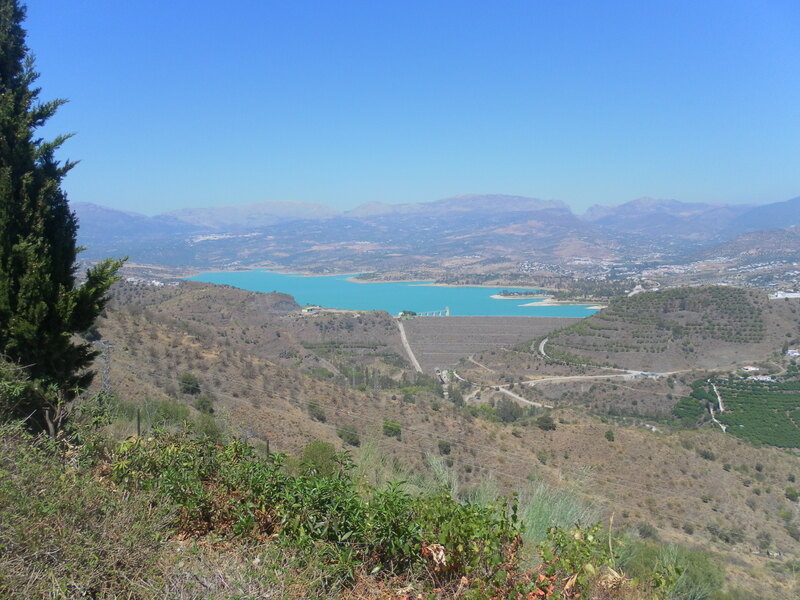 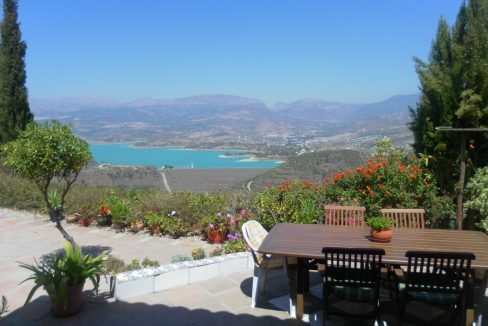 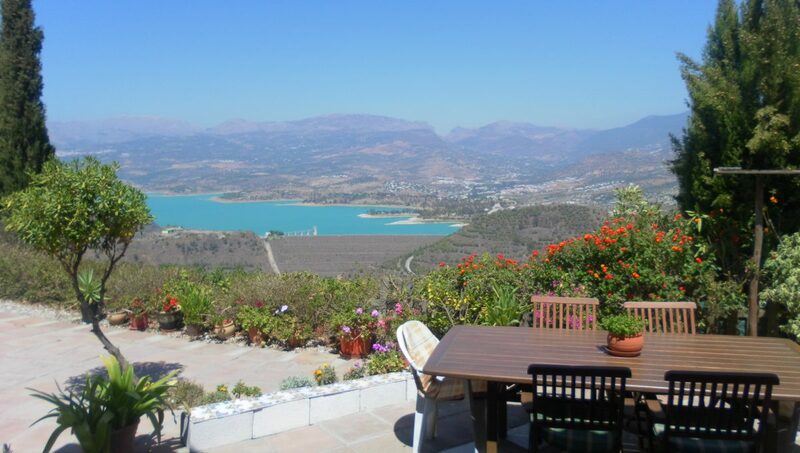 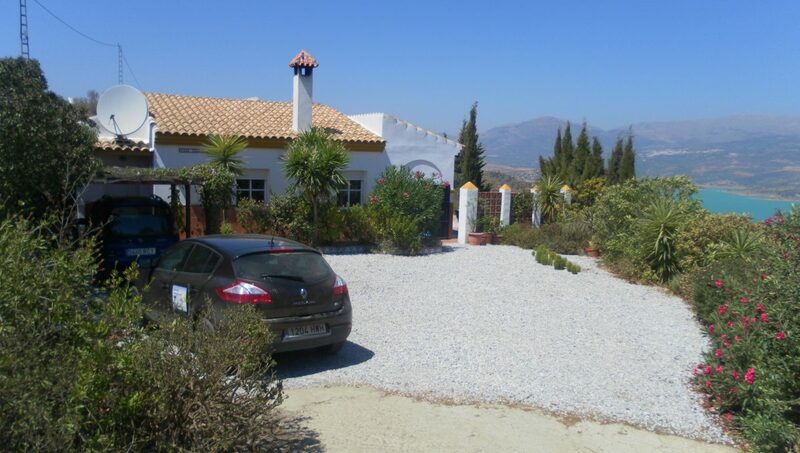 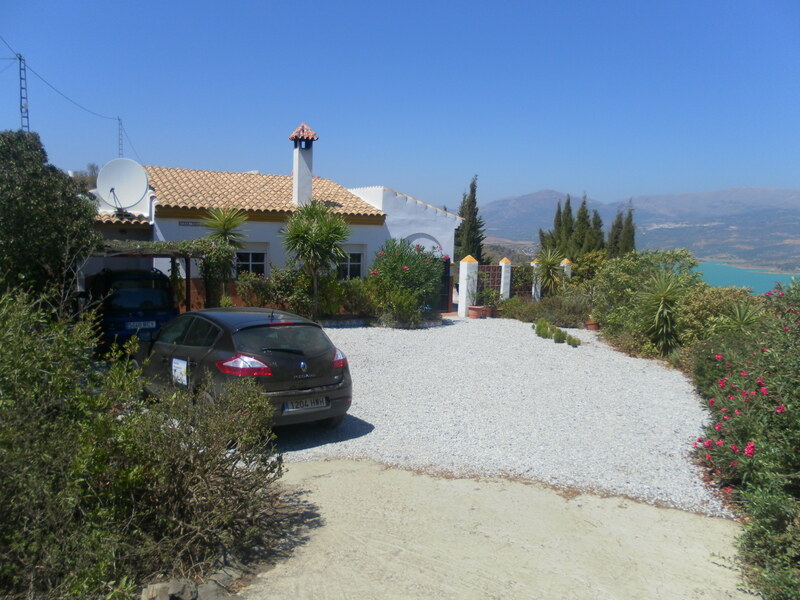 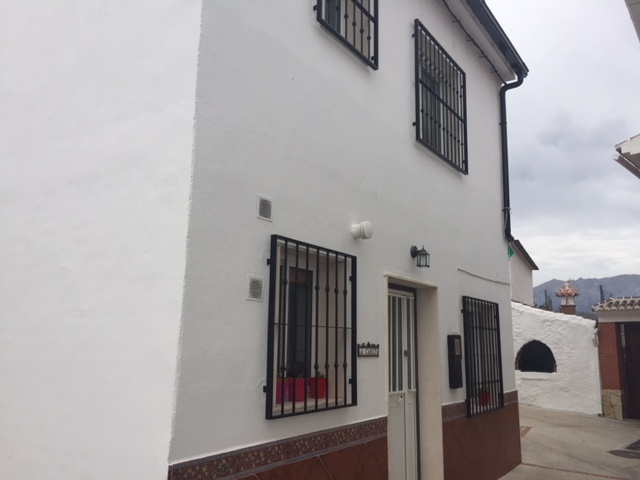 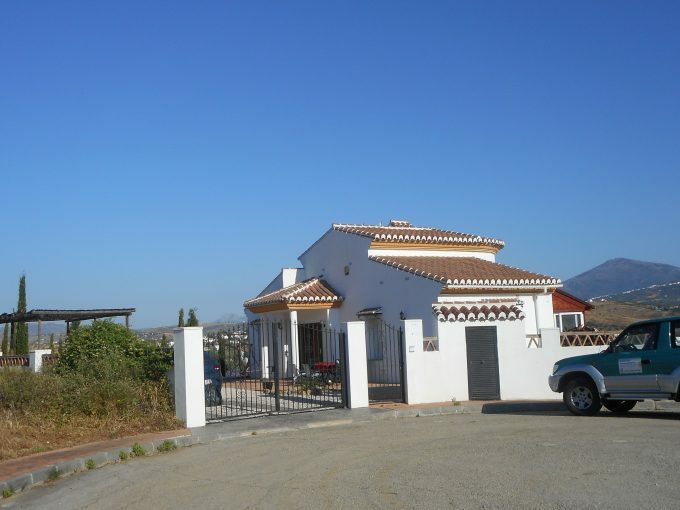 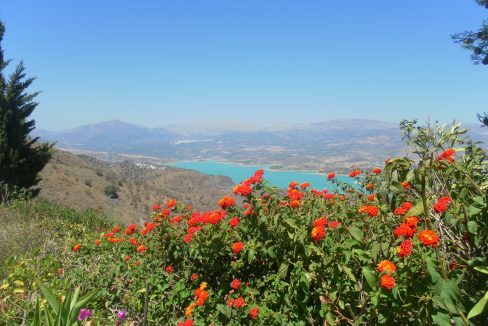 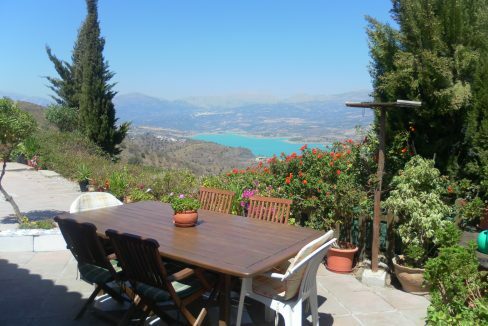 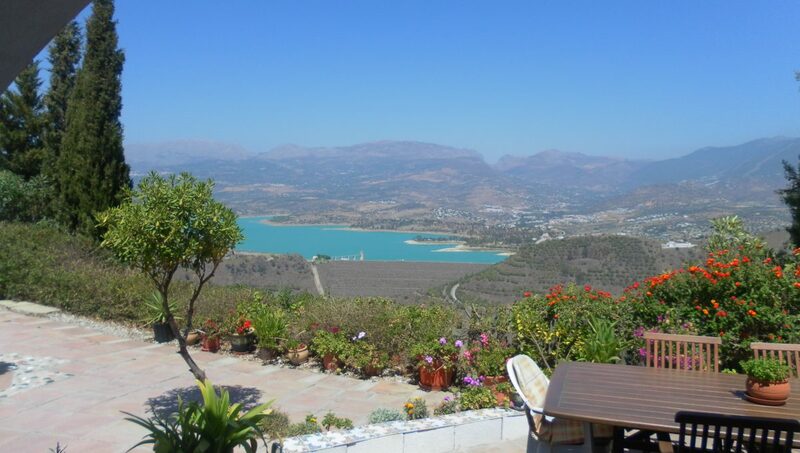 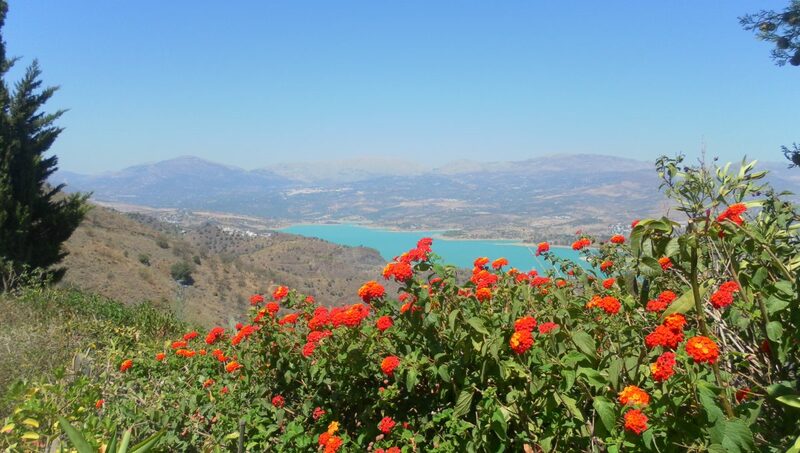 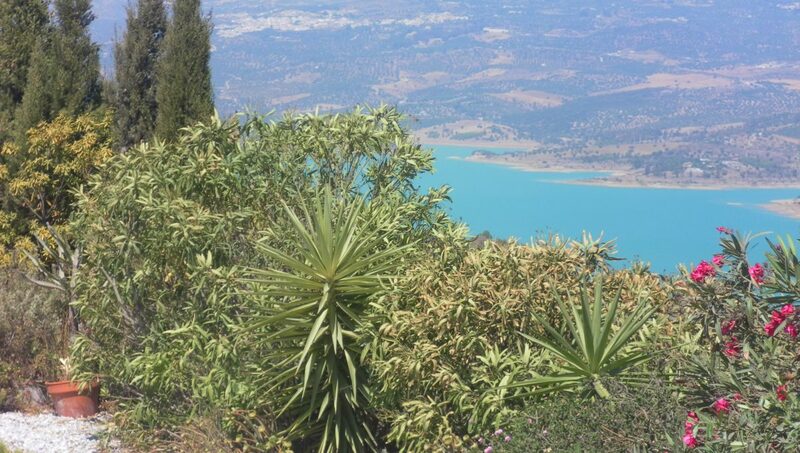 Spectacular views of Lake Vinuela and the Dam, mountains and countryside, from this well situated and spacious 3 bed, 2 bath villa in a private and tranquil setting, only 10 minutes to the main road with 5100m2 plot, 119m2 build and private pool, built in 2002. 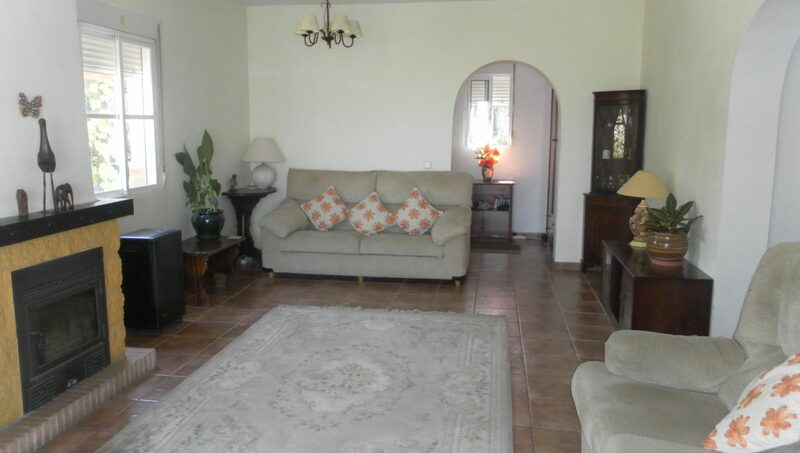 Large lounge with log burner, Sat/Spanish TV and WiFi Internet with patio doors to covered terrace for Al Fresco Dining area with BBQ, arch to fitted kitchen with breakfast bar. 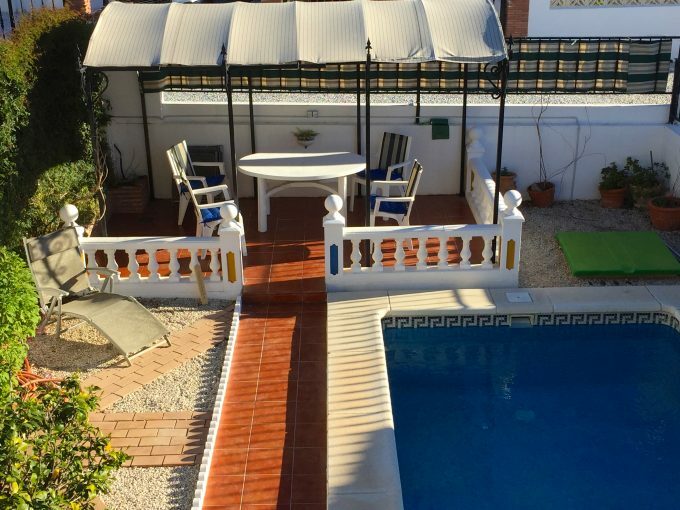 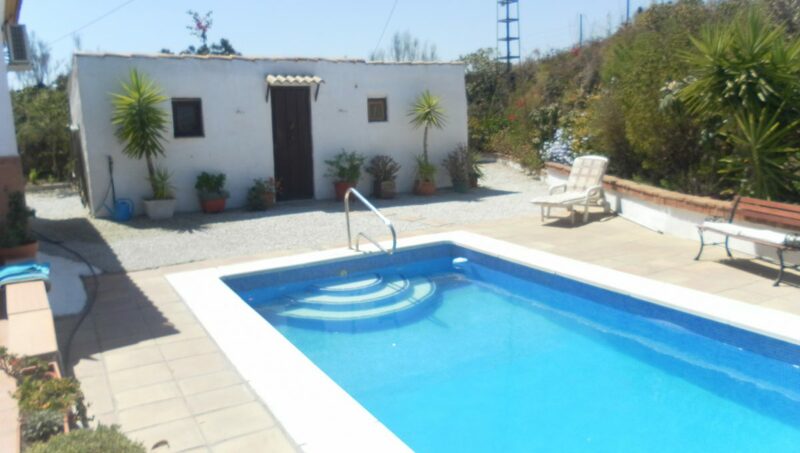 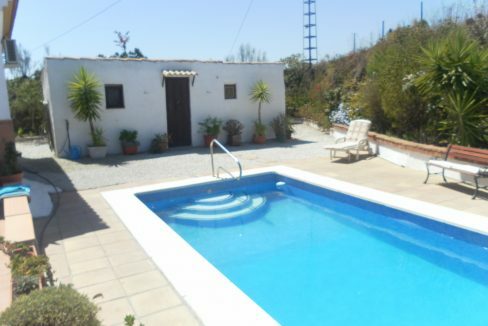 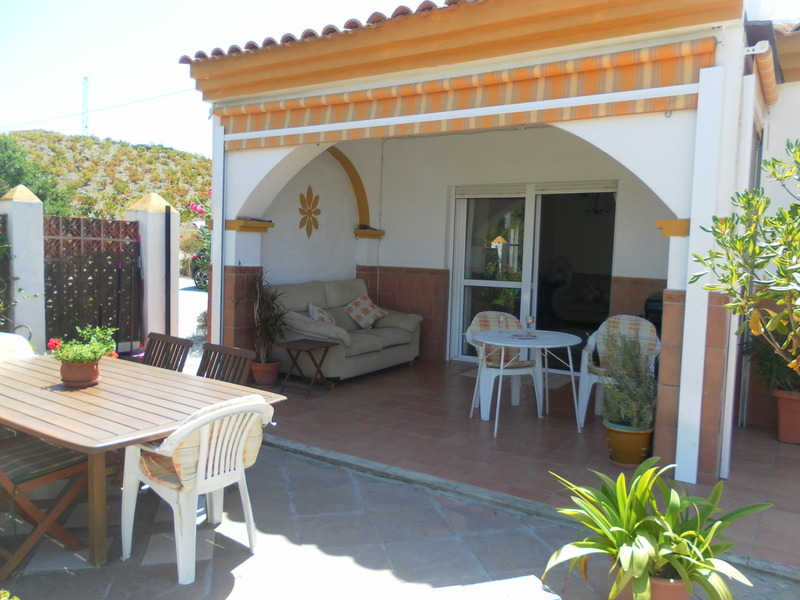 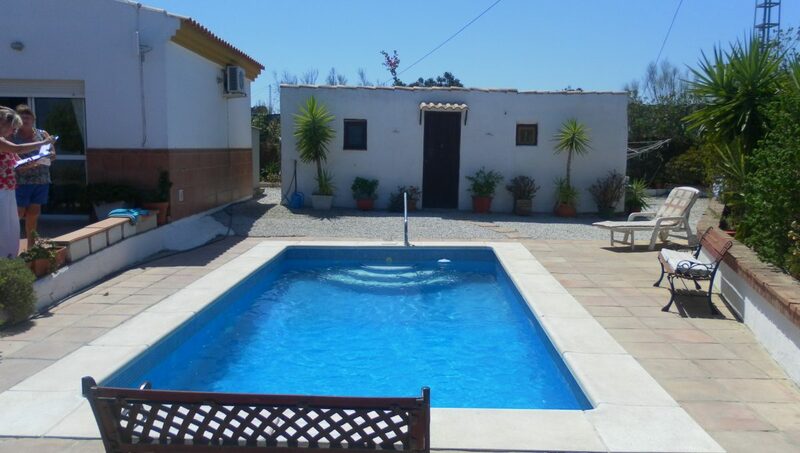 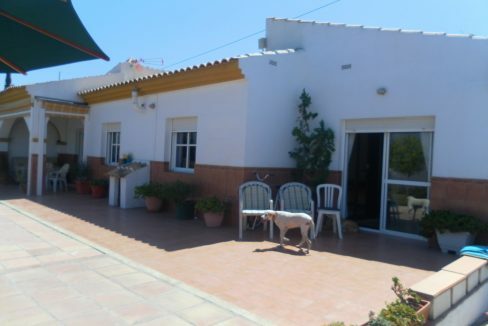 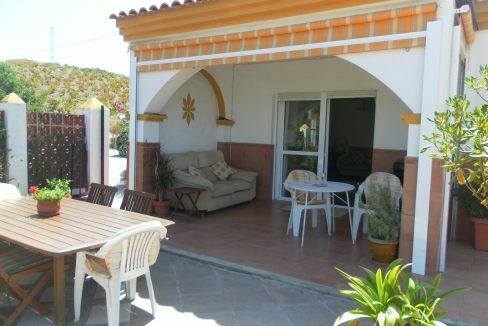 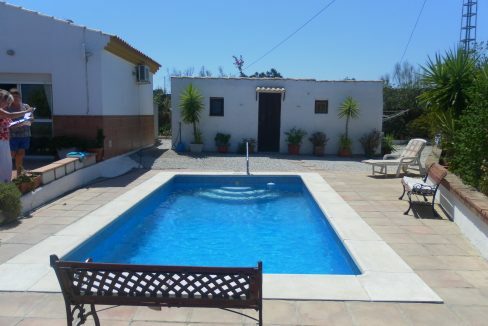 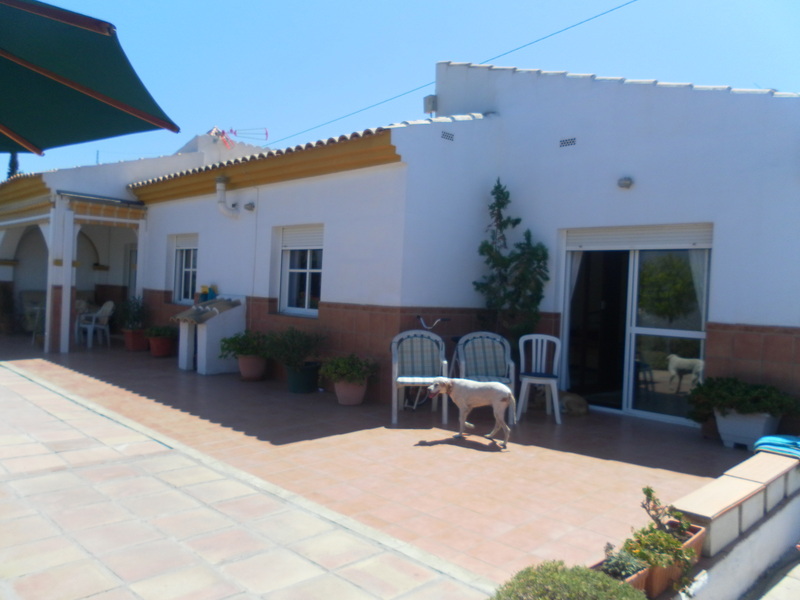 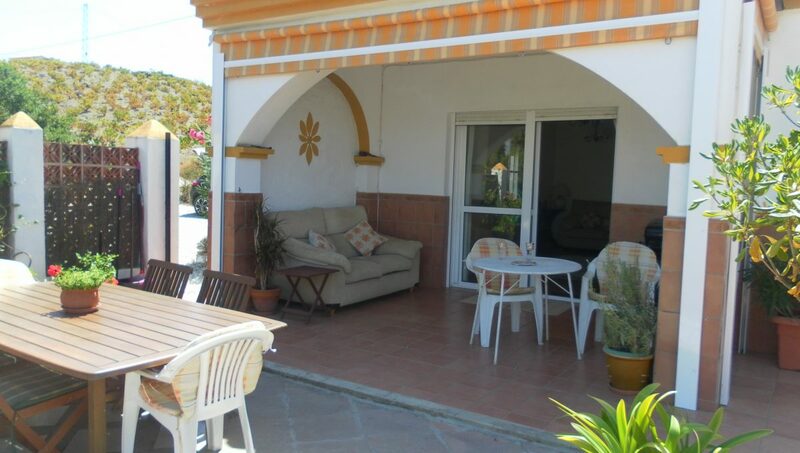 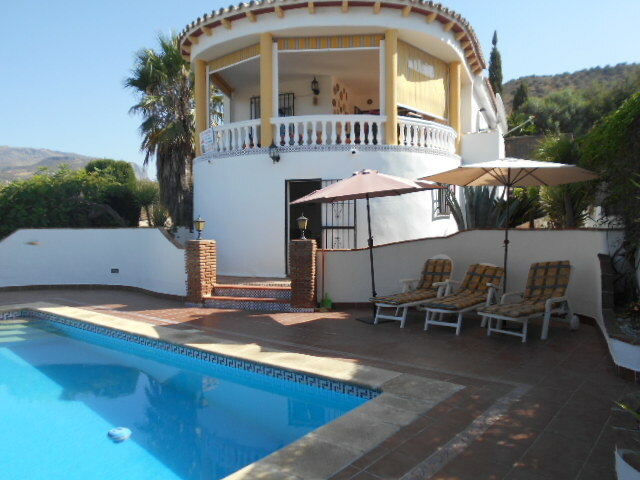 Lovely large terraces outside and around private 6 x 3 m2 pool. 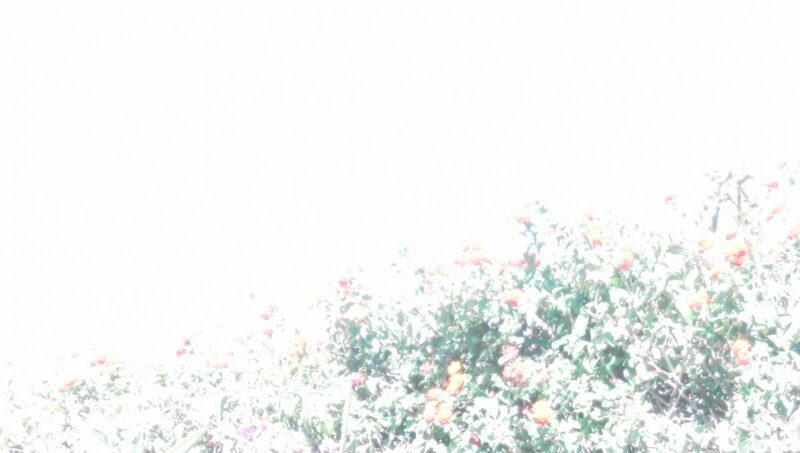 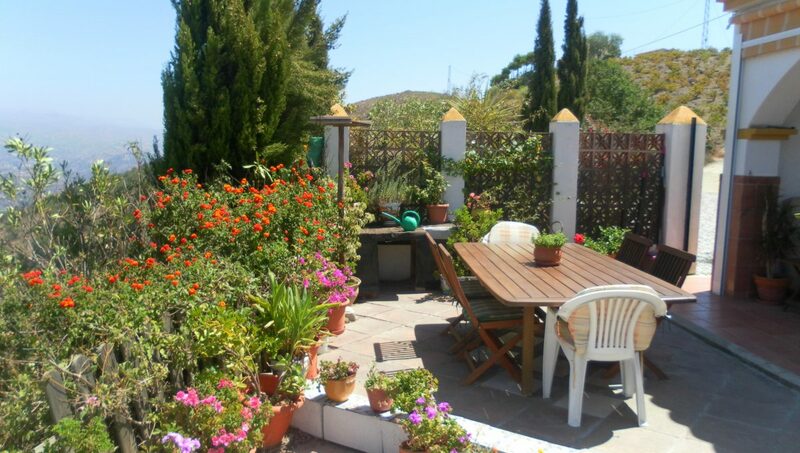 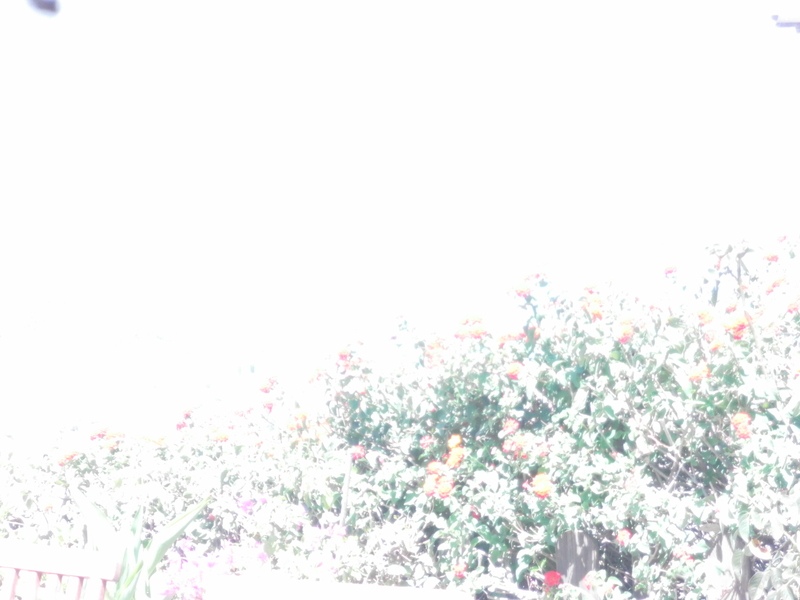 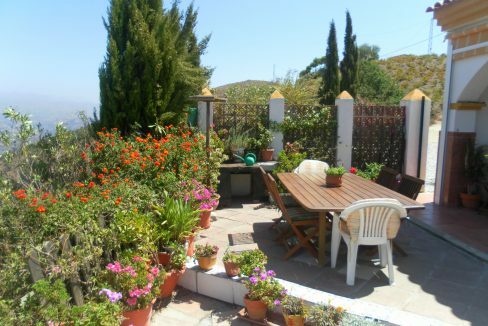 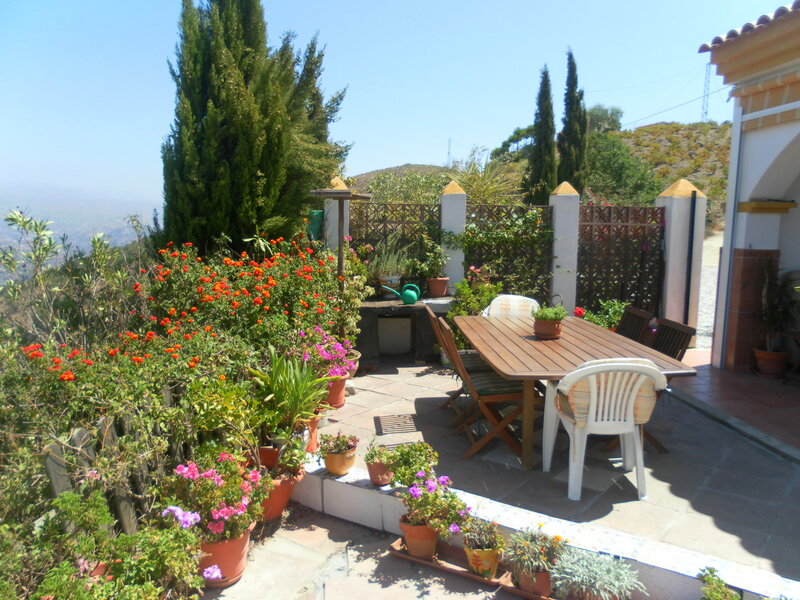 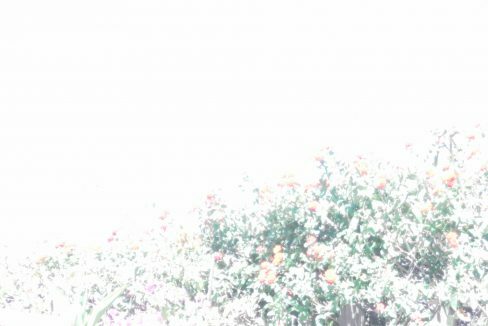 Well maintained and landscaped garden with shrubs, flowers and irrigation. 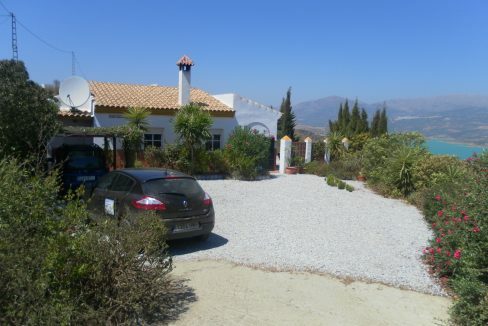 Gravel driveway to front of house with off street parking for many cars. 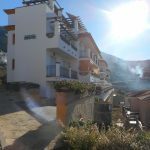 3 bedrooms, 2 double, one large with ensuite bathroom, with shower over bath, aircon, free standing wardrobes and double doors with view to Lake, panel heaters. 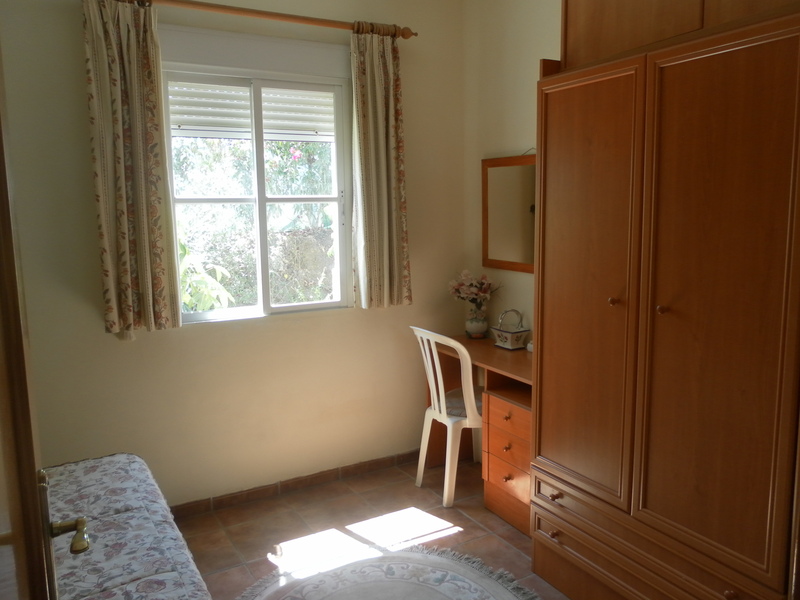 One with free standing wardrobes and panel heaters, one twin room with free standing wardrobes and Lake View. 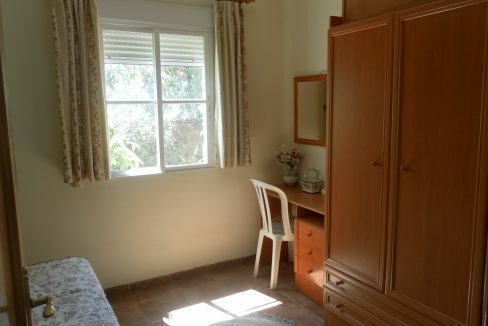 Family bathroom with shower over bath, w/c and bidet. 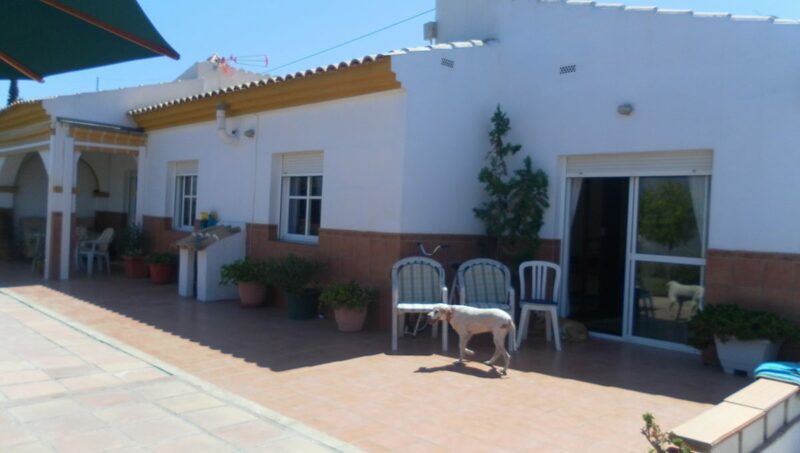 Partly fenced and gated. 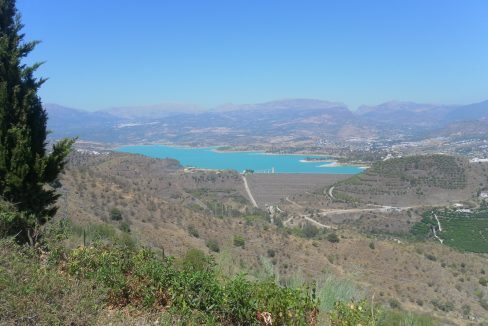 2,000 litre deposito, almond, olive figs and grape trees. 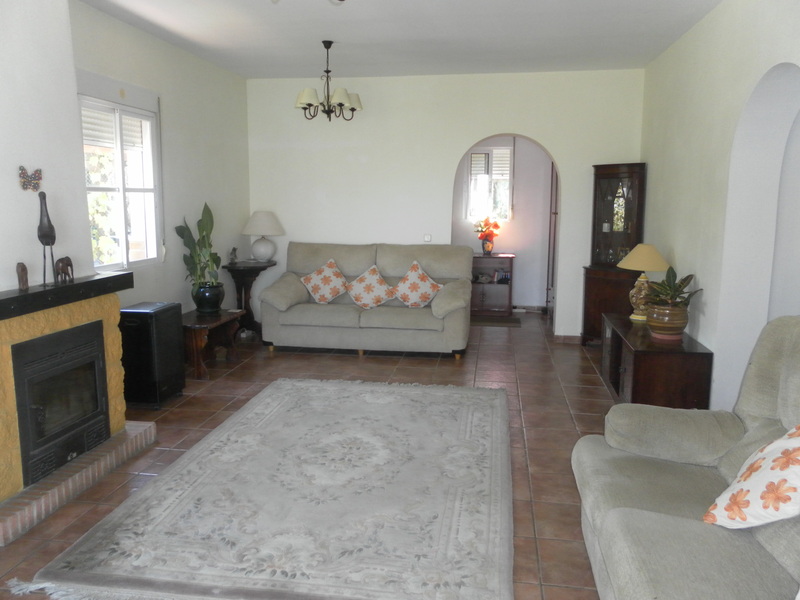 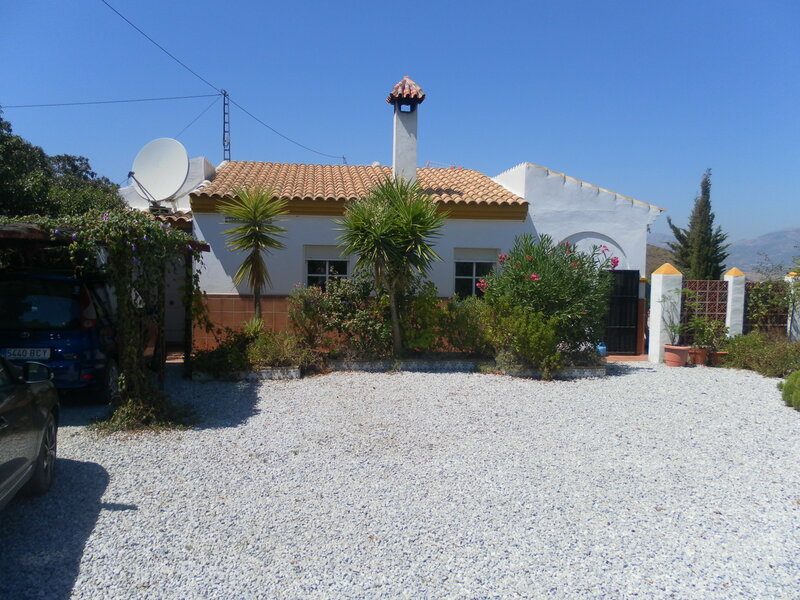 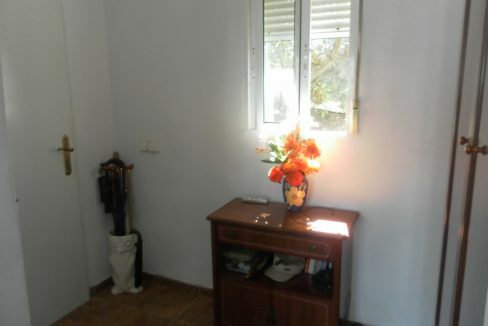 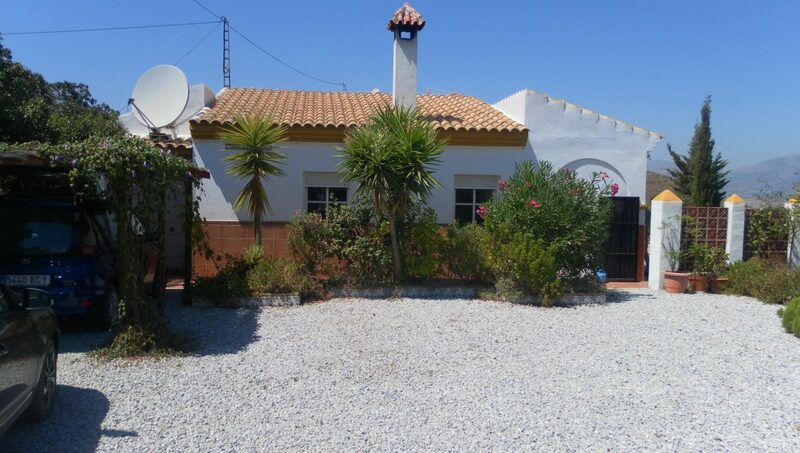 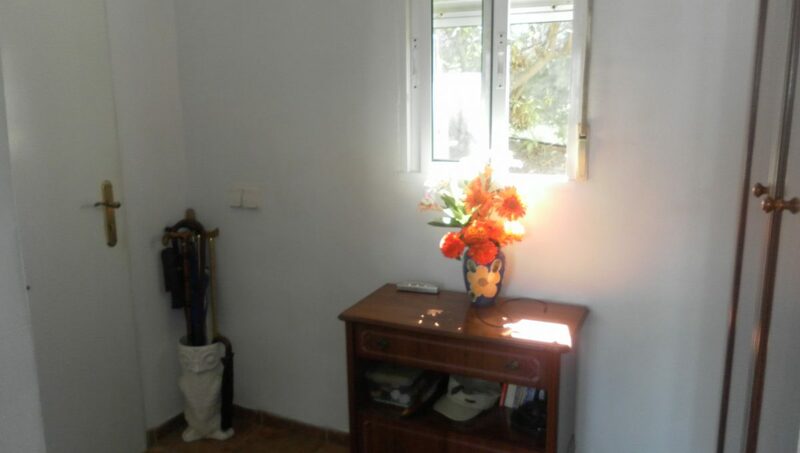 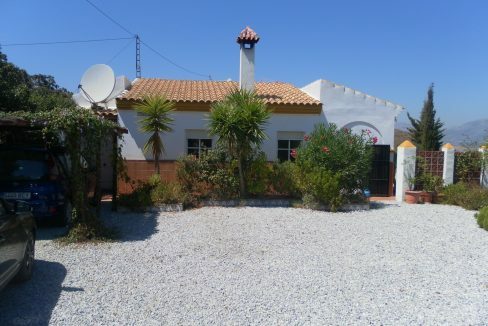 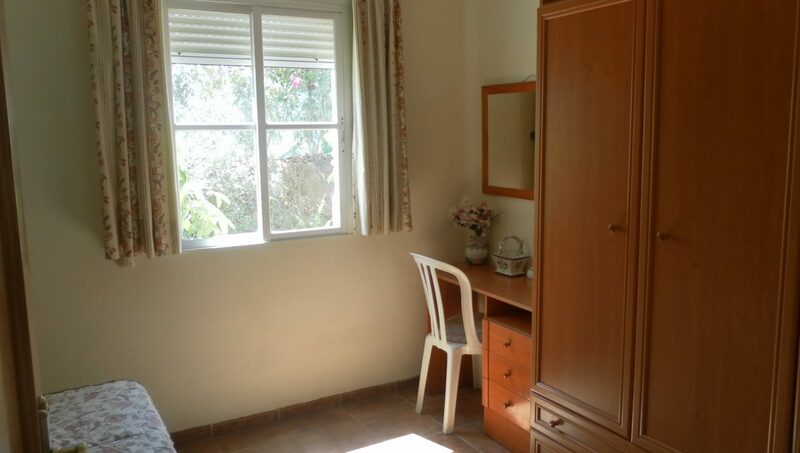 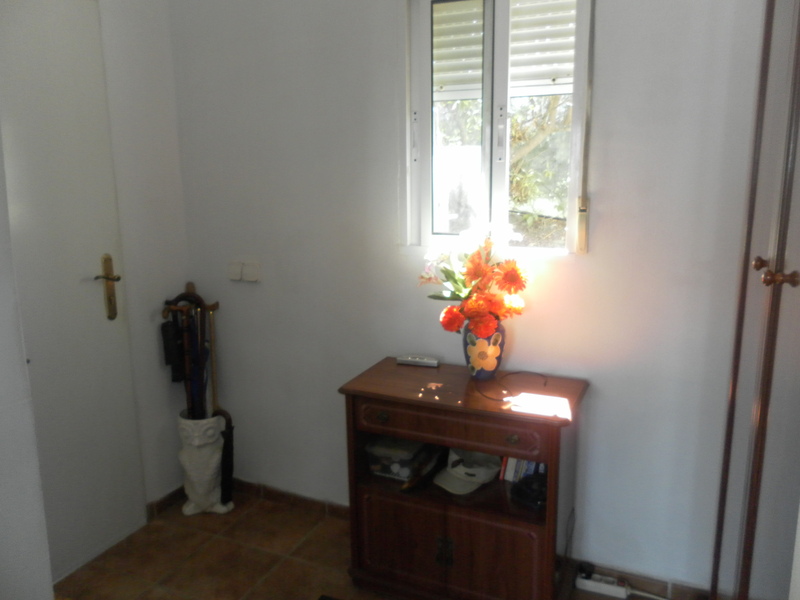 Detached Casita for storage which may be open to conversion with power and water. 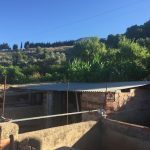 Avery and greenhouse for veg and 2 sheds. This property is very spacious but a little tired, but plenty of potential.